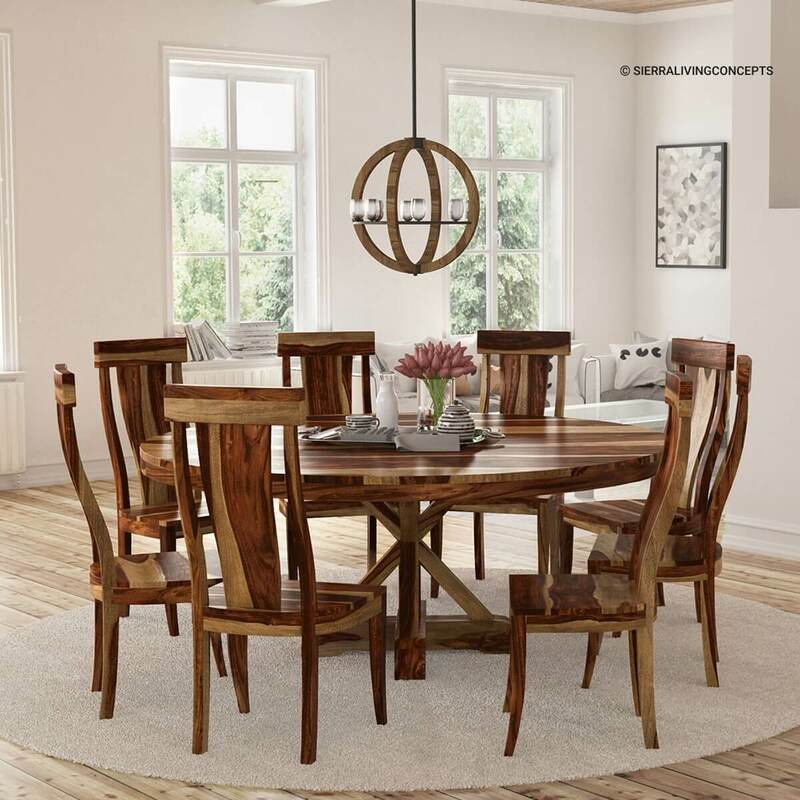 The Bedford X Pedestal Rustic 72" Round Dining Table With 8 Chairs Set is a perfect place to enjoy casual weekend breakfasts or formal dinners. 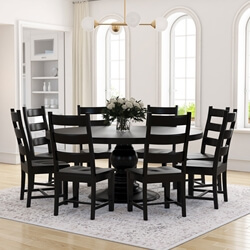 The dining table set features 8 stylishly constructed chairs and a round dining table with natural wood grain pattern in deep brown and beige making it a gorgeous addition to your transitional or modern dining space. 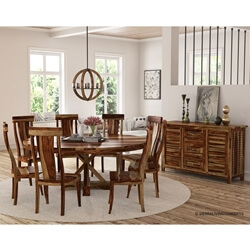 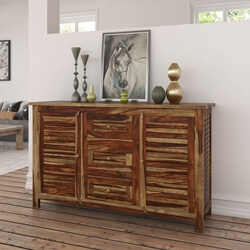 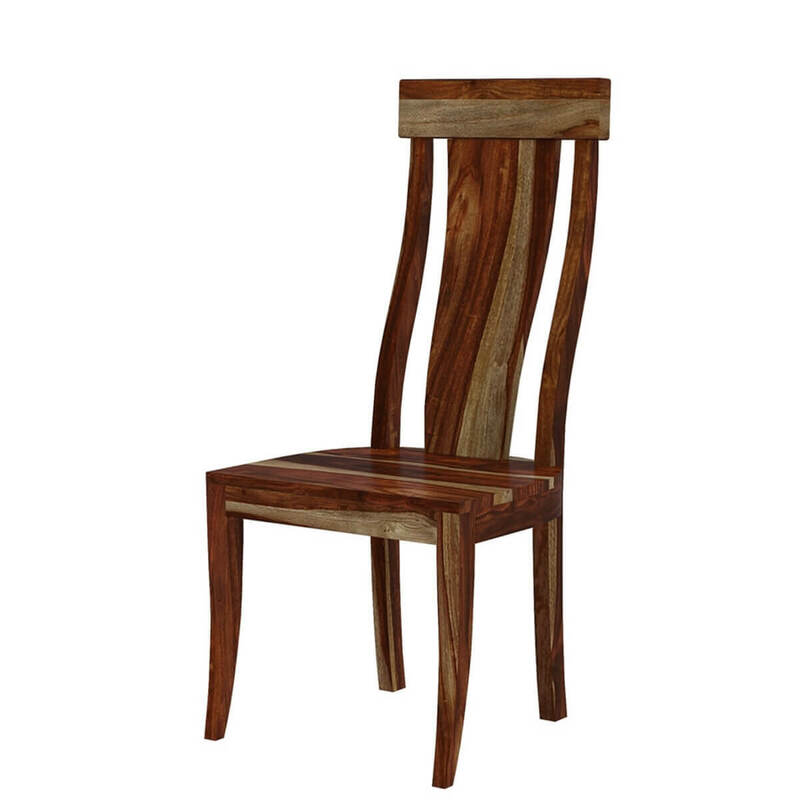 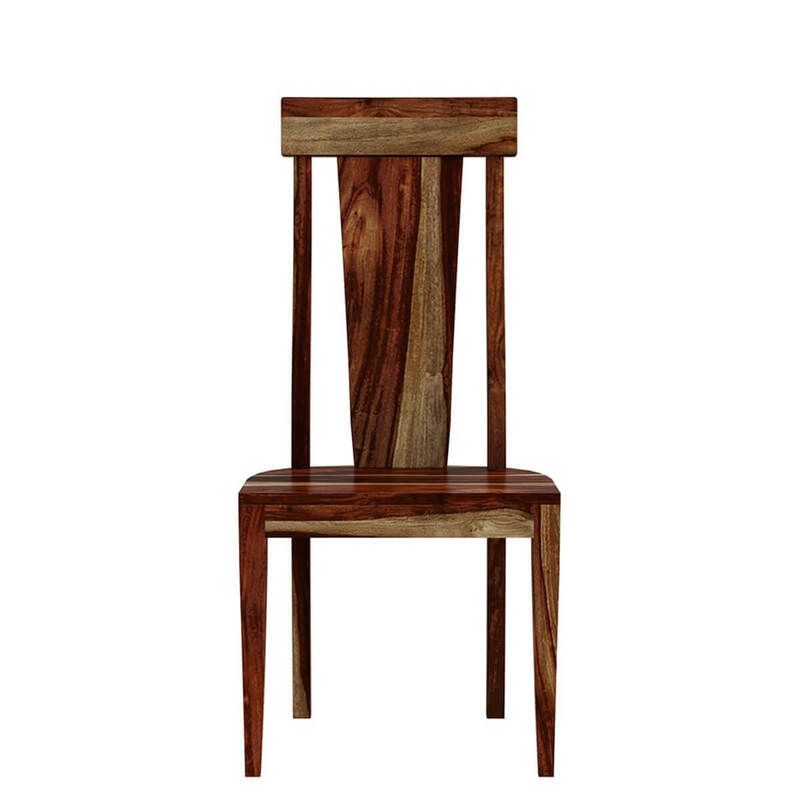 The stylish base features a cluster of planks ending in a cross base that gives it a timeless look while the distinctive single vertical slat back at the center of chair back adds a breezy finesse to the ensemble. 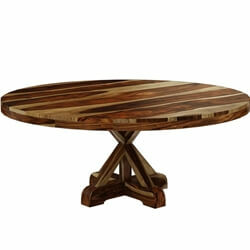 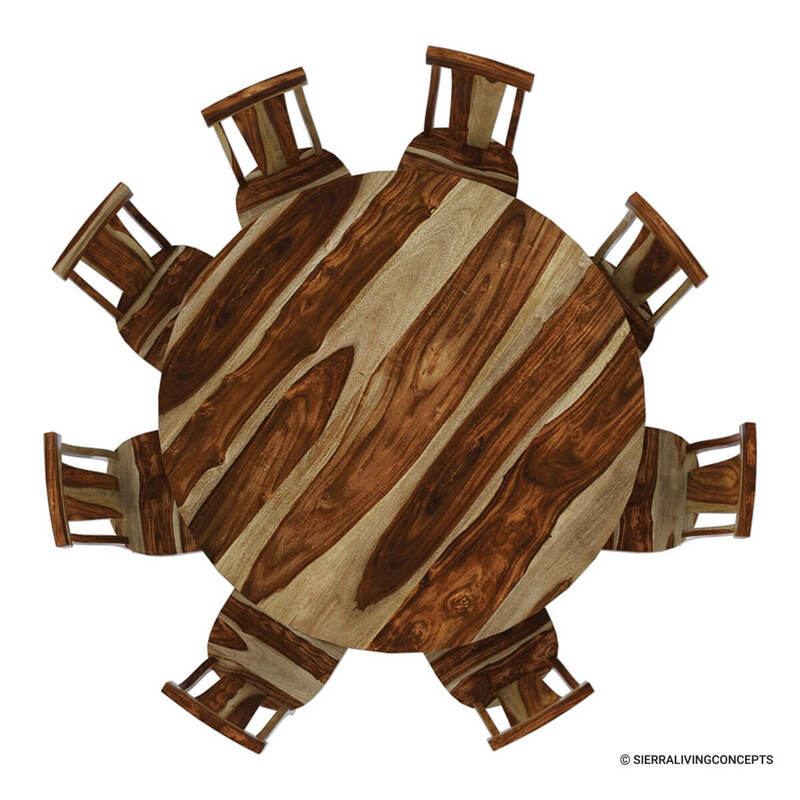 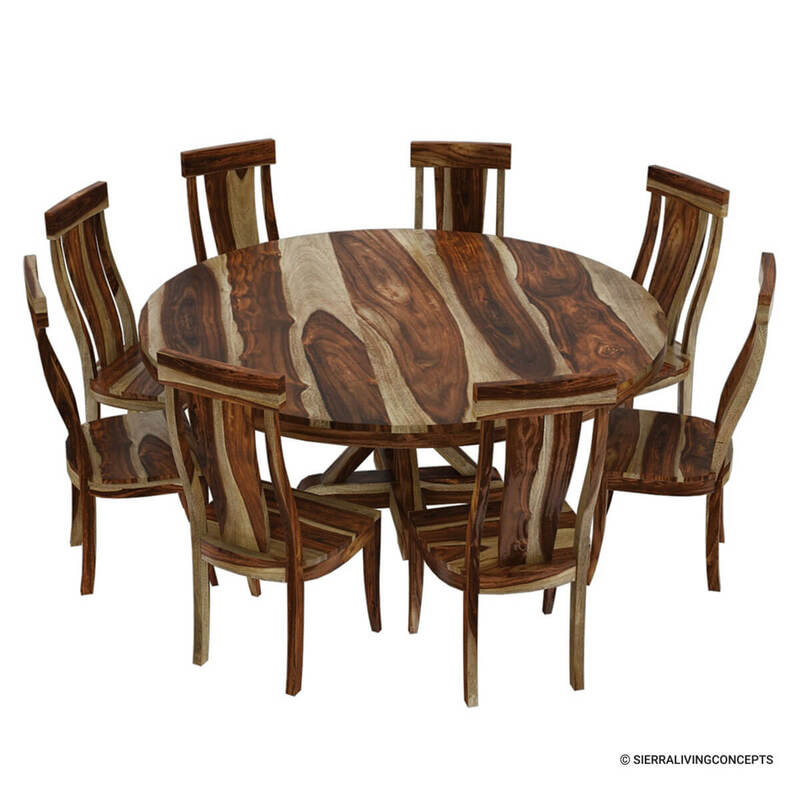 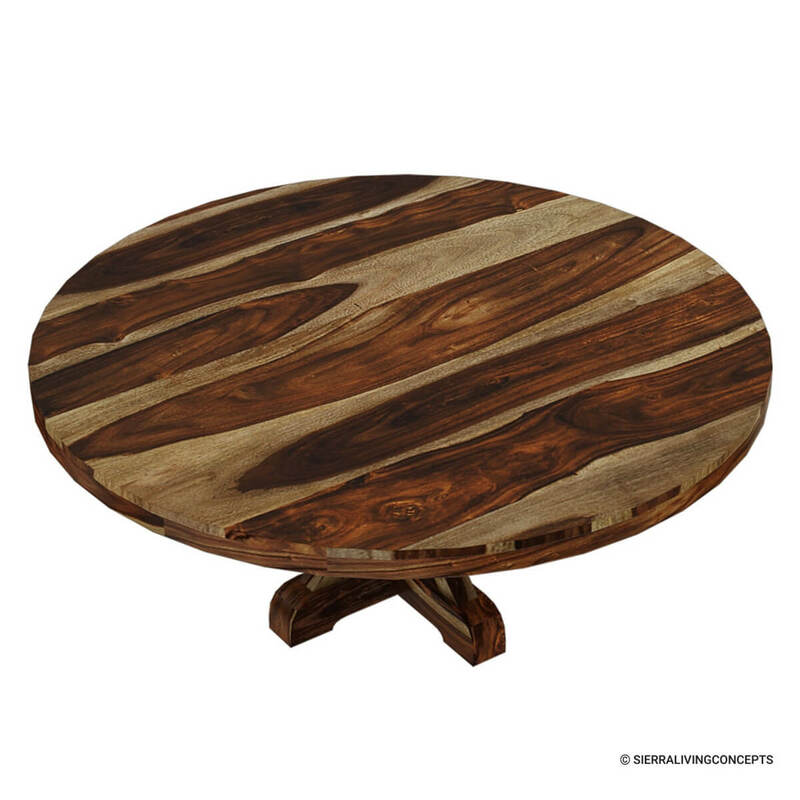 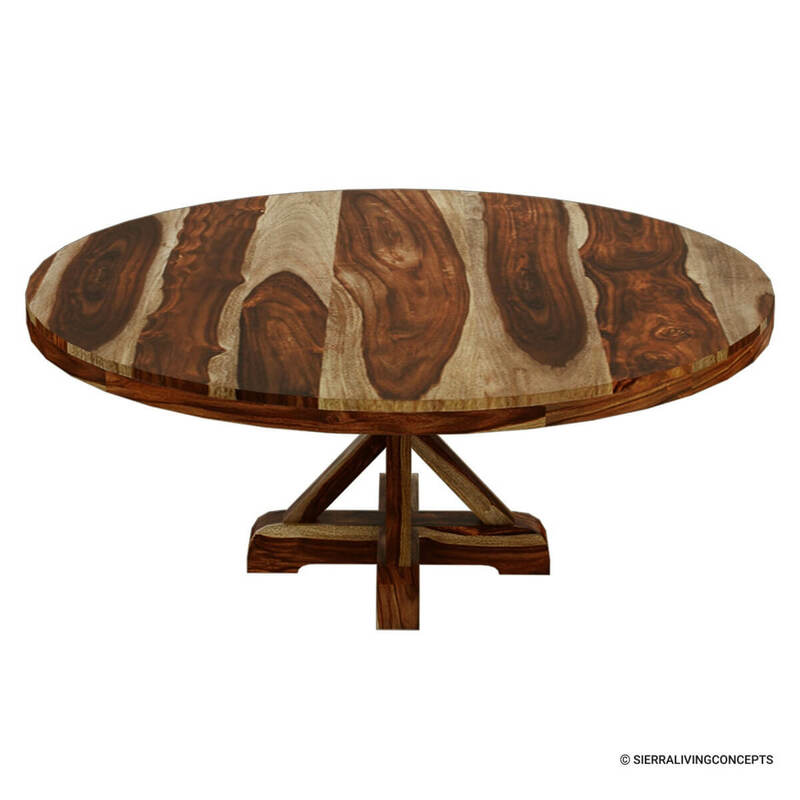 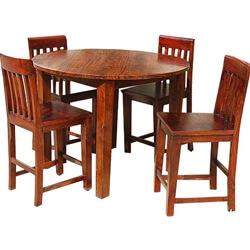 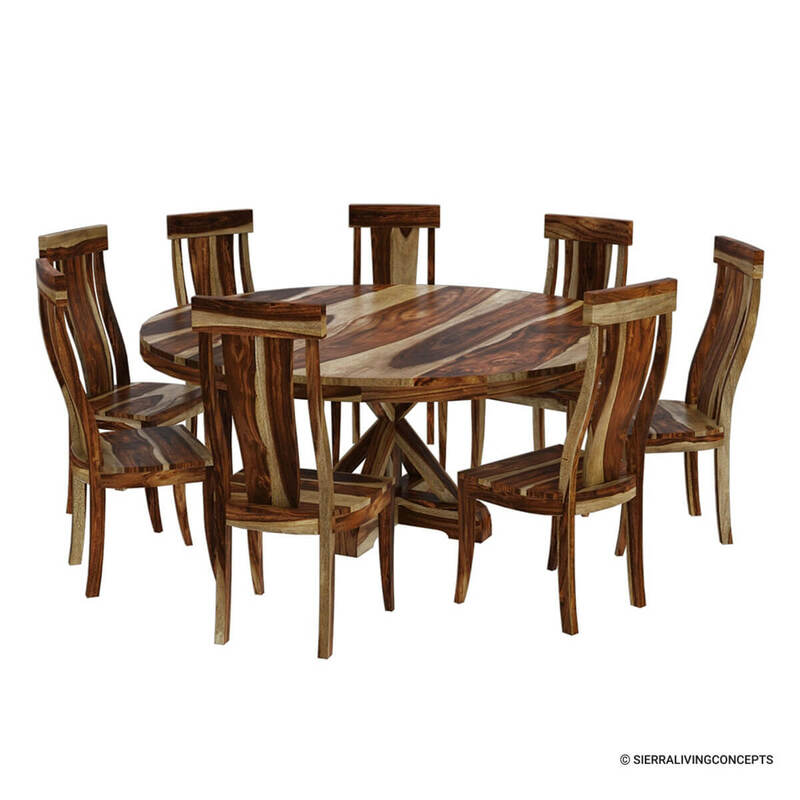 Materials: This round dining table set is beautifully handcrafted from solid Rosewood that provides the set with exceptional sturdiness and visual appeal to last many years.